The retail armageddon shows no signs of slowing down in 2018. At least 50% of the 1,200 shopping malls across the US are forecast to close by 2023, with over 12,000 store closures expected in 2018 alone. As retailers scramble to give customers reasons to come into their physical locations, the shopping experience is being radically transformed. Most would argue that it’s for the better. 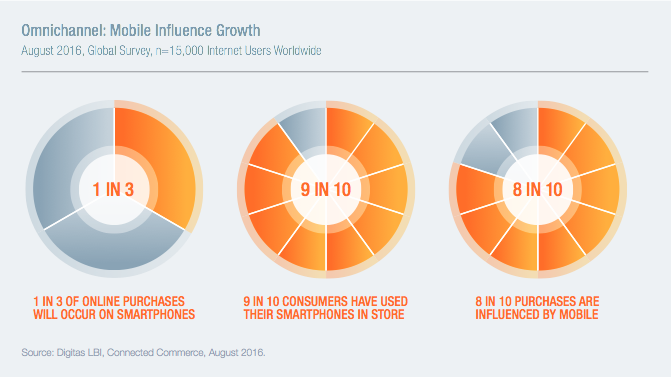 Today, over 80% of US shoppers research products online before ultimately making a purchase in a physical store. It should come as no surprise that retailers are putting focus on their digital efforts and leveraging apps to augment in-store experiences. Bridging the gap between online and offline interactions is critical for improving customer experiences and giving them more reasons to visit retail locations instead of buying online. That pursuit has now become a primary goal for many retail stores. Making the shopping experience as intuitive and connected as browsing on a website is a huge goal but one that represents the future of the retail industry. As retailers everywhere try to find ways to bridge the omnichannel gap and connect online and offline touchpoints, smartphone apps have proven to be a key tool in giving customers the tools that they need to shape their own experience. Let’s take a look at some of the new and innovative ways that retail brands have used in-app experiences to improve customer experience in their physical locations. Internet of Things (IoT) Beacons are internet-connected objects that communicate directly with smartphones using Bluetooth Low Energy technology. In Target’s tests, smartphones would listen for signals that the beacons were emitting at various points within the physical store. Personalized messages. Beacons could be used to send personalized messages to shoppers, letting them know about nearby products that were on sale, deliver coupons, or let them know about products that they might be interested in. Push notifications. Deliver notifications that can be viewed from a locked phone. Let them know about deals, products that would complement previous purchases, or deliver reminders. Deliver materials based on items in a shopping cart. 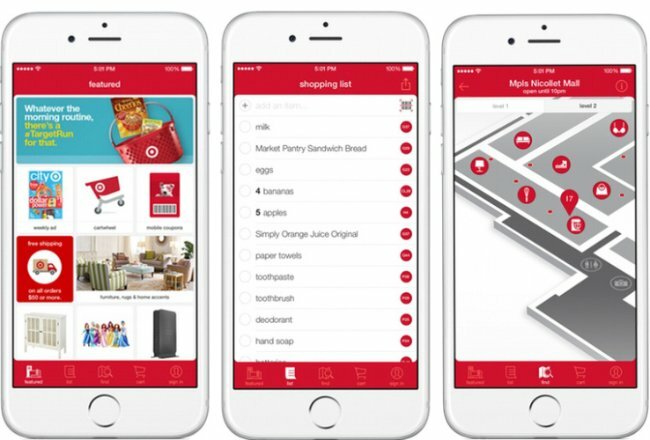 One interesting test that Target ran was using beacons to deliver messages that related to items that were already in the customer’s cart. For instance, the beacon could deliver coupons for items that the shopper was already planning on purchasing. This, of course, would require some way of detecting what the shopper had placed in their cart, which is already a technology that some big box brands have been testing. The big-picture idea here is to use IoT devices that are able to deliver relevant marketing messages based on a number of factors including a customer’s previous purchases, their location in the store, or the items currently in their shopping cart. Beacons look to be an effective way to continually interact with customers while in the store without requiring a larger associate presence. GPS changed the way that drivers interact with the world around them. Suddenly, asking for directions became a thing of the past and drivers were empowered to travel anywhere their smartphones could take them without worrying about getting lost. 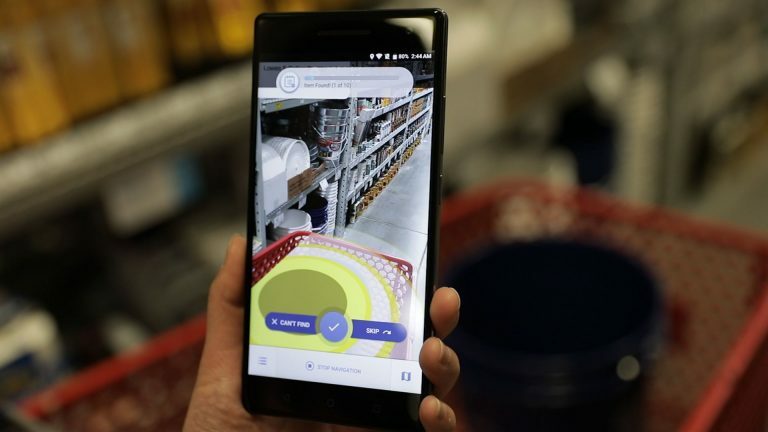 Lowe’s hopes to bring that same kind of navigational revolution to in-store experiences with their in-app navigation features. Consider the last time that you went to a hardware store. Most likely, you weren’t going to browse around. You, like most hardware shoppers, were probably there to find a specific item for a project that you were working on. If you didn’t have a strong familiarity with the layout of the store, there was also probably a good chance that you spent quite a bit of time scouring the aisles or had to ask an associate for help. Lowe’s recently tested new in-store navigation features within their app. Users inputted the item they were looking for, then received GPS-style navigational directions, helping them to quickly locate the item. Not only would this be extremely convenient for shoppers, but it would also reduce the query-load of associates within the store. Several hardware stores have tested out similar features and by all accounts, the initial tests were a huge success. Any woman can relate to buying makeup that just didn’t hit the mark. Maybe they expected a slightly different color or the cosmetics just didn’t mesh with their look as well as they had hoped. Sephora recently debuted a new in-app feature that hopes to solve this problem. 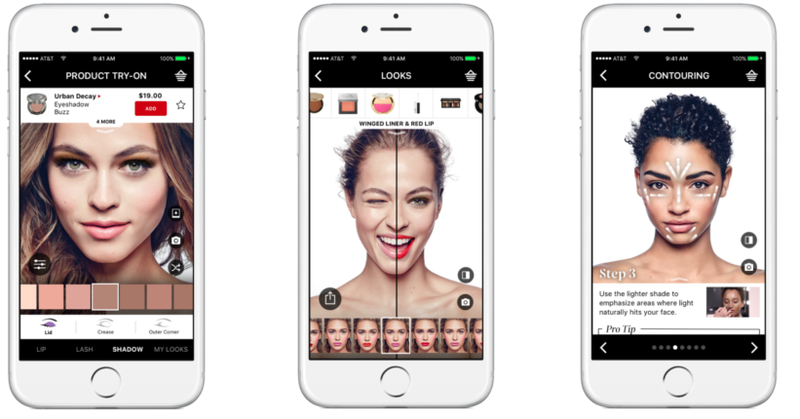 In Sephora’s app, users can upload a picture of their own face. Then, they can use the app to apply different colors of makeup, foundation, and other cosmetics to their face to get an idea of how it would look on them. Makeup typically isn’t a product that you get to test drive before you buy, but Sephora’s innovative feature gives customers the next best thing. It’s easy to see how similar technology could be applied to other retail experiences. Imagine being able to see how clothes would look on you before you go to the store and without having to go into a changing room. It’s an interesting way to give customers more insight into their purchases before they make them while promoting their products. Waitrose is a supermarket retailer that has put a lot of focus on improving customer experiences and embracing the omnichannel revolution. It’s paid off for them too. They have been voted the UK’s favorite retailer several times before just recently being usurped by Aldi. The company has placed a strong focus on connecting online and offline experiences for customers. At a few select stores, Waitrose recently debuted their “Click & Connect” program. The program allows shoppers to order groceries through their smartphone, and then pick up their purchase from an outdoor locker. Many big retailers have been launching same-day pickup programs, allowing customers to buy items in-app or online, then pick them up from the store. Waitrose’s Click & Connect program marries this concept with Amazon’s Locker Delivery program to provide shoppers with a hands-off alternative to in-store shopping for when they are in a hurry. If you’ve been paying close attention to the retail landscape in recent years, there is a good chance that you have heard of Amazon Go. Initially introduced a year ago in a popular video, Amazon Go is designed to streamline the shopping experience for customers. When you walk into an Amazon Go store, you login via your Amazon Go app on your smart device. You walk around the store, loading items into your basket or cart, and then simply walk out of the store. No lines. No waiting. All items that are placed in your basket are tracked via small RFID tags, and you are automatically charged for the items as you leave the store. 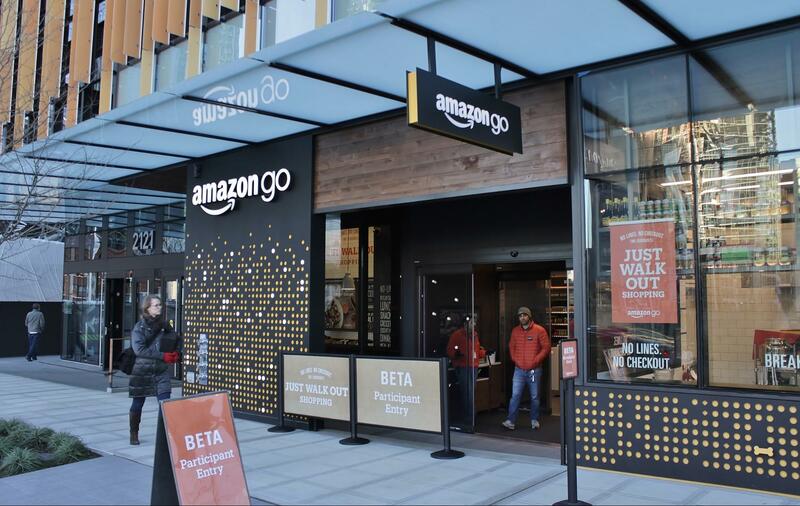 The company launched their first Amazon Go store in late 2016, but it was initially only open to employees only. In late 2017, the store opened to the general public and recently the company announced that they were planning on opening more locations. Some have speculated that Amazon’s ultimate goal is to license this technology to other retailers, but the company has not commented on that issue as of yet. One thing is clear — younger shoppers are definitely interested in the idea of a checkout-less experience in stores, and Amazon appears uniquely positioned to deliver that at scale. In some ways, the world of retail is comparable to the Wild West. It’s the era of innovation, where truly innovative ideas that improve the experiences of customers rise to the top and attract crowds. As retailers scramble for new ideas that drive shoppers into their physical locations, omnichannel strategies that deliver in-app experiences appear poised to change the way that shoppers communicate with their favorite brands.